Want More Web Traffic? Get a Mobile Website! | Get the Latest Online Marketing Trends in Web Design, Social Media, Blogging, and More. Home › Digital Marketing › Want More Web Traffic? Get a Mobile Website! No marketing professional ever seriously asks if a small business wants more web traffic; these days, that’s practically a trick question. By the middle of 2014, Small Business Trends reported that a whopping 60 percent of all web traffic was coming from mobile browsers, up 10 percent from the previous year and taking the lead for the largest avenue of web traffic worldwide. About half of that traffic comes in the form of mobile apps, making it seem like a great investment for any business looking for a boost in hits and, hopefully, a bump to leads and conversions. However, while there’s no doubt that going mobile is the only way to keep up with browsing trends, a mobile app may not be your best option. According to Entrepreneur.com, the key to coming out on top of a sea change like this isn’t to go with the most popular options, but rather the one that will serve your audience and your business best. While the big boys like Amazon and eBay may not be able to get by without an app of their own, these are costly and time-consuming investments that most businesses would do better to avoid than invest in. Companies particularly of the small to mid-sized variety will find much better success through the greatest alternative: a mobile website. Mobile websites aren’t just less expensive than a business app, for smaller businesses they’re actually more effective on all fronts. Small businesses don’t have the massive userbase of their big box competitors, making it unlikely that a mobile app would get the kind of attention the business needs to increase reach and maintain “healthy” growth in the digital market; furthermore, apps require regular updates and overhauls to keep up with firmware updates from as many as four mobile operating systems. If your business opts to ignore any one of those mobile OS options, your app will lose you more traffic than it’s likely to gain. On the other hand, mobile websites work by being responsive to multiple resolutions, scaling and reorienting through customized code and layouts that will be fairly easily maintained by a good web development team. While every website needs periodic updates to keep up with changes in web standards, this is completely different from a complete overhaul every time Android rolls out a firmware update, and can be done at the same time as the update to your standard desktop website. This saves time for developers and money for small business owners like you by rolling everything into a single full-service package. There’s no better way to respond to trends in mobile browsing than with a website that responds to your visitors. With a fully responsive website you can cater to that growing mobile browsing audience without wasting time or money, so let a professional make sure that your business has the mobility it needs to succeed—not just today, but for years to come. 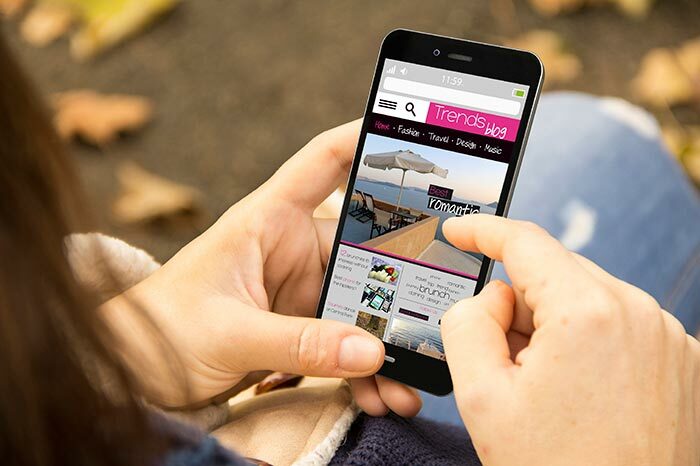 Are you ready to get serious about improving your businesses mobile presence? Contact 4 Step Studio today by filling out this form to get started!